I have an incredibly inspiring young girl in your life! My 8 year old is pretty amazing. She had to overcome a lot of obstacles in her life, before I became her legal guardian last year. None of that has kept her from being a kind, thoughtful and generous girl. She always does the best that she can which is such a wonderful quality. Her positive attitude is contagious. I can’t wait to hear about your #RealLifePowerpuff girl! 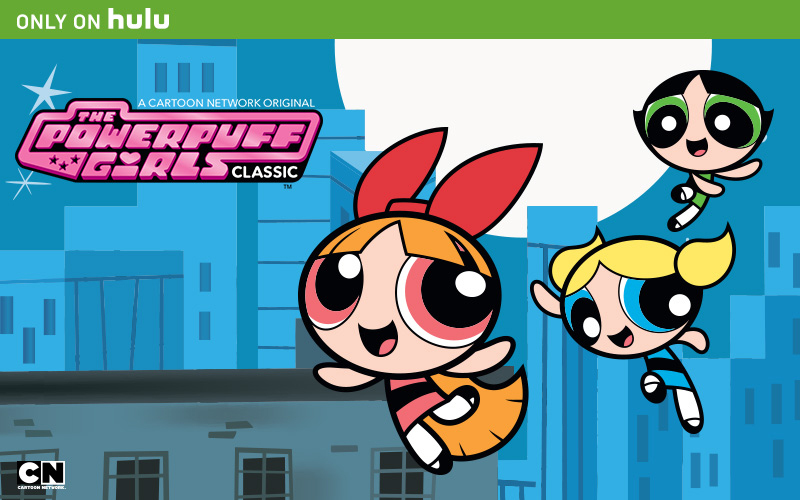 Anyone else excited that all classic episodes of The Powerpuff Girls are now streaming on Hulu?! 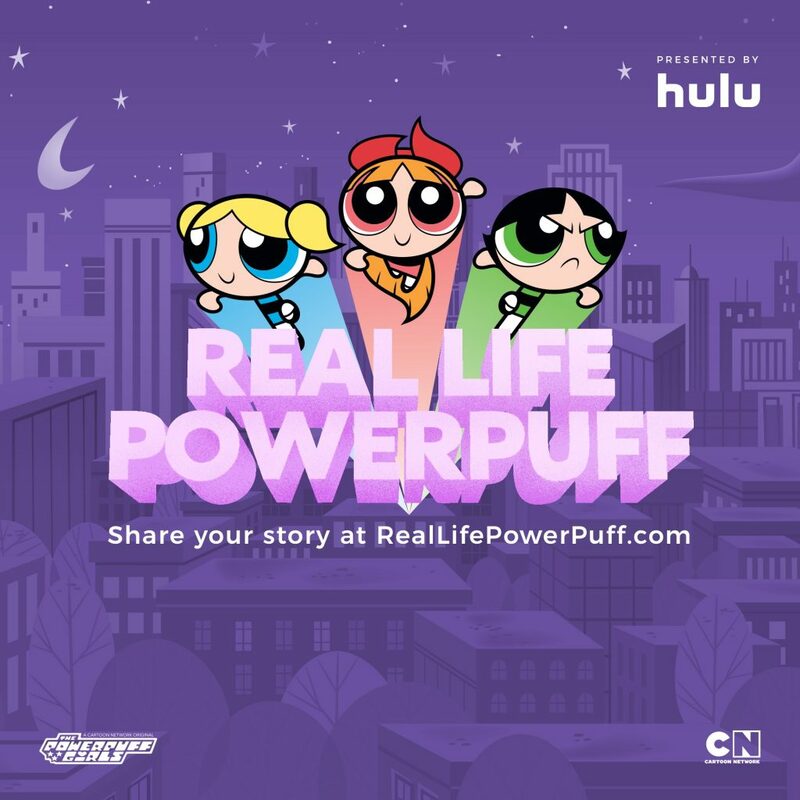 Check out this #RealLifePowerpuff girl video on the Hulu Facebook page. Such an amazing girl!! ENTER TO WIN A 6-MONTH HULU GIFT CODE! Prizing and samples provided by Hulu. 1. Leave a comment below no later than March 31, 2017. Comments should be meaningful and a minimum of 5 words. Tell me about an inspiring young girl in your life. 2. Daily Comments on other non-giveaway blog posts as daily entries are allowed. Just leave a note here to me know where you commented. 3. Follow @aboutamom on Twitter. This is so cool, what a great way to inspire girls! The inspiring young girl in my life is my friend’s daughter she does so well in school and love to help others. I Follow @aboutamom on Twitter. Your 8 year old sounds awesome! My #RealLifePowerpuff girl is my fiance’s daughter. She is kind, loving and nothing ever gets her down! My youngest niece should enter. She’s an achiever! Smart, talented, and interested in everything. 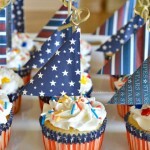 Following @aboutamom on Twitter [@cherylfahling]. My niece is an inspiring young girl in my life. She is independent, loving and caring. My daughter is an inspiring young girl who is so caring and helps me with so many things. She is such a comfort and blessing in my life! My cousin is such an inspiration to me. She is always helping others! My niece is inspiring. She likes athletics and has a lot of energy and joy in her life. It is good to be around her. My niece is inspiring. She is so smart and talented and is so very helpful to others. My daughter is the inspiring girl in my life. She inspires me everyday to be the best mom,. my sons are great friends with neighbors (girls) who are also classmates. They are doing a great at school, playing sports with my sons and more. My niece is an an inspiring young girl in my life because she is smart, and so nice to my autistic son. She is so patient to help my little one when I go work and school. I am so thankful for having her and my son in my life! My precious nieces are the inspiring young girls in my life. I would love to win this awesome prize. I am now following you on Twitter. My niece had liver cancer, and the way she bravely fought that disease and beat it was very inspirational. What a great concept! I’ve always loved the PowerPuff Girls…and I know so many girls who are inspirational! I like how they combine these two! My niece is the inspiring young girl in my life. She is friendly, caring and already a leader, even at the age of 7. My daughter is inspiring to me. It’s amazing how much she changes each year. I am following you on twitter!! Thanks for the giveaway!! My daughter inspires me every day to be young at heart. She is a happy and sweet child who cares about her friends and puts others first. The most inspiring girl I know happens to be my stepdaughter Kelsey. She was only ten years old when I married her father, and I remember how scared she looked at the wedding. I told her I would never EVER be just an evil stepmother,but I would always be her friend. I told her that we had something very much in common: We both loved her daddy. That made her so happy, it was the first time I had ever seen her smile. Fast forward almost 10 years later, and that once frightened little girl is all grown up. She is in college, has a boyfriend, and has tons of girlfriends. She is a leader and an inspiration to us all. She does not partake in any drug use or even drinking alcohol. She is not like most kids her age. She comes to me when she needs help with her homework and if she needs advice about boys, friends, and even feminine hygiene. Her mother is a miserable, selfish, manipulative she wolf. She is over 40 years old, and right after Kelsey turned 18, and my husband stopped paying child support, she decided to have another baby. She discouraged Kelsey about college, saying it was a waste of time because she knew I had gotten my B.A. from LSU. She told her she wanted another kid so she wouldn’t be alone. None of that stopped Kelsey from pursuing her dreams. I have always told her that I love her as if she were my own child. And I do love her that much. She is an extraordinary young woman, and I could not be be more proud of her. If only all teenagers were as easy as she. What am AMAZING girl, and kudos to you for being such a wonderful stepparent!!! I am also following you on Twitter, and I have already tweeted: Know a FAB young woman? Hulu is shining a spotlight on #RealLifePowerpuff girls! My daughter inspires me with her intellect and athleticism. This is very nice of you to do for us, I know with me and my grandchildren, this would definitely be a helping heart during these months and with Easter coming up. I understand that Hulu has many different types of show for Easter for adults and children. My cousin is in inspiring because she is so kind to everyone she knows! I commented on Green Velvet Cheesecake Bars. My daughter loves the Powerpuff Girls and gravitates to lots of shows that feature strong, problem-solving girls and women. M 13 yr old niece inspires me. She works hard, gets good grades & is an excellent softball player. My daughter is a huge PowerPuff girl fan and loves Bubbles. She believes we need more women in powerful positions, like the President. She’s all about girl-power! 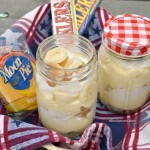 I follow @aboutamom on Twitter under @magmom73. The most inspiring girl is my beautiful neice. She is very sweet and she is always looking out for other people. I am so proud of her and all that she has accomplished. My niece is the inspiring young girl in my life. She amazes me everyday. I am inspired by our young daughter. She is brave and not afraid to try new things! My granddaughter inspires me to be kind and thoughtful. I am inspired by young girls everywhere that study and work hard and become productive in society and do not respond to any negativity and just move forward to the positivity in life. I commented on BOLD EASTER BASKET IDEAS FOR GUYS. I commented on the adorable Bird’s Nest Cookies. My 12 year old granddaughter inspires me daily because of the tragic life she has had yet continues to be an awesome girl sticking up for those who are being bullied, is a straight A student and excels in every sports she participates in. She is a survivor. I commented on Easy Four Layer Dip. My daughter inspires me. She’s such a happy young lady that wants to do so much good. An inspiring girl I know is the daughter of my best friend when I was younger. My friend had problems and her daughter got taken away and adopted by another family. Recently my friend passed away and her daughter is the strongest little girl I know! My niece is an inspiring young girl and an amazing girl! She takes care of others, is always positive and happy, and works very hard at getting things done and making a difference. I follow @aboutamom on Twitter as @ShellChis. My daughter can be an inspiring little lady. She is 8 years old and she loves to help out at school in the classroom and at church. Hopefully she will continue to help others in the community ad she gets older. I’m so excited this show will be available for our daughter to watch. I love that the show shows young kids that they can make a difference no matter how old they are. I commented on St. Patrick’s Day Rainbow Cupcakes. I think Bana Alabed is an inspiration for all Syrian children and their hope, as she voices their hopes for a peaceful future. My daughter is the most inspiring girl in my life. My daughter is inspiring. She volunteers at school and loves to help people. My sons babysitter is such a wonderful young woman-active in chorus, good grades, and works part time! I would be so thrilled to win this for my Chloe Pearl! I bet she would fall in love with this show. I loved it when I was younger! I commented on Simple Carrot Craft for Kids. The best word I can use to describe my great niece is fierce! She’s just a little girl, but she will fight for equality, stand up for the underdog and inspires kindness in others. I commented on Mixed Berry Shortcakes. I commented on Easter Bunny Bag in Crafts today. Awesome giveaway! We’re child-free, but have lots of fabulous kids in our lives, including my friend’s daughter. She is kind, smart, funny, and sassy. Love her! I commented on What Makes Navdy a Road Trip Essential.